1. Secrets of Nanreath Hall by Alix Rickloff - I received an unsolicited copy of this book from a publicist, but I'm actually intrigued by this dual timeline historical fiction debut about a mother and daughter. 2. The Nightingale by Kristin Hannah - I've been meaning to read this ever since it came out, but I just keep putting it off. I think it's finally time to dive into this story of sisters - and I love that it's set during WWII. 3. Everyone Brave is Forgiven by Chris Cleave - When Modern Mrs. Darcy recommended this title, it immediately piqued my interest. Yes, it's another WWII story. What can I say? The time period fascinates me. 4. 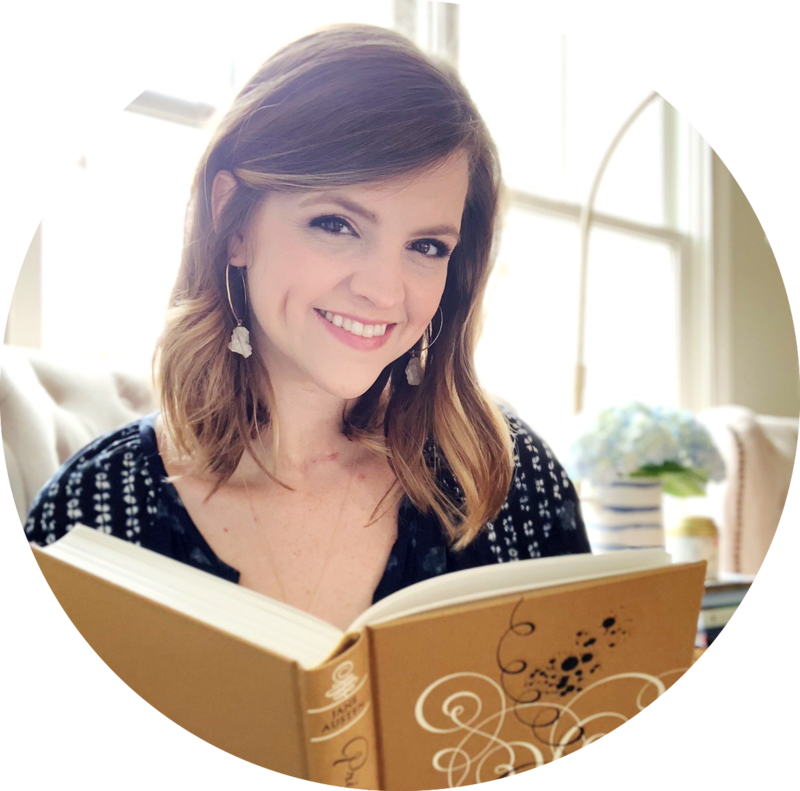 The Secret Life of Violet Grant by Beatriz Williams - I read my first book by Beatriz Williams earlier this year, and I can't wait to finally read more from her! I'm glad she's got an extensive backlist to keep my occupied. 5. Dreamer's Pool by Juliet Marillier - I adore Marillier's Sevenwaters series and Shadowfell series, so I have high hopes for this book. And it's perfect timing, too, since a new book in this series comes out in November. 6. Six of Crows by Leigh Bardugo - I waited to read the Smoke & Bone series until the last book was coming out so I could binge them all. That was my plan with this series, too! So, it's finally time to return to the Grishaverse. 7. The Passion of Dolssa by Julie Berry - Berry wrote one of my all-time favorite books, so I pre-ordered this as soon as I heard about it. I wasn't in the mood for it this spring and decided to save it for the fall. YAY! 9. The Rose and the Dagger by Renée Ahdieh - The first book left me anxious to get my hands on this sequel, so I don't know why I haven't actually read it yet! I need to get motivated and see how this love story ends. 10. 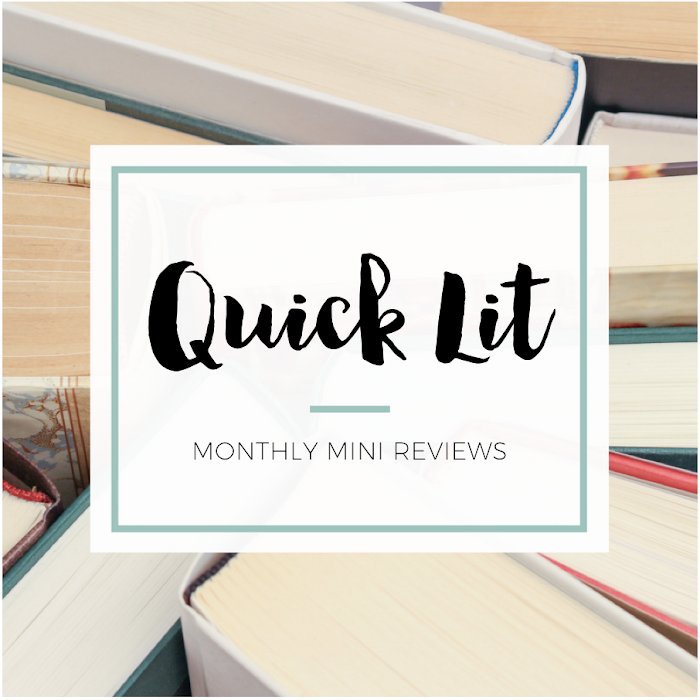 Winter by Marissa Meyer - My plan was to re-read the series before this book came out, but I only made it through Cinder and Scarlet before getting sidetracked. But I finally finished Cress, so this is my current read! And what should I read first? Six of Crows is one of the tops books that I've read this year, and I already have such high hopes for Crooked Kingdom! I'm hoping to find the time to pick up The Nightingale this year too. I read All the Light We Cannot See over the summer and absolutely loved it. I've been yearning for another WWII book to captivate my attention, and I have a feeling this is the one. One of my favourite bloggers (Brie @ A Slice of Brie) read it a few months ago, and posted about what a beautiful book it is, so I can't wait to experience the magic! Also, WINTER!!!! I hope you love it!!!! I'm planning to read Six of Crows very soon too, can't wait for it! Hope you enjoy! THE PASSION OF DOLSSA is masterful. I was disappointed it wasn't on a National Book Award nominee this year. I've had Their Fractured Light, but just haven't gotten to it yet and it's already been a year. And I've been wanting to read The Nightingale since forever because I love WWII. But I just don't know when I'll ever get to it! I'm so excited for you to read Six of Crows (which is still my favorite read of 2015) and Crooked Kingdom (which I am currently reading and loving)! I hope you love them as much as I do. Also, I can't wait to hear what you think of Their Fractured Light and of Winter - I enjoyed both a whole lot! I hope you get to Winter ASAP :-) And I'm probably the only person on the planet who hasn't gotten to Bardugo's books yet. Pretty sure the Starbound Trilogy has been on my TBR since book 1 came out.... I still need to read them! Every year I make it a priority and every year I fail haha. 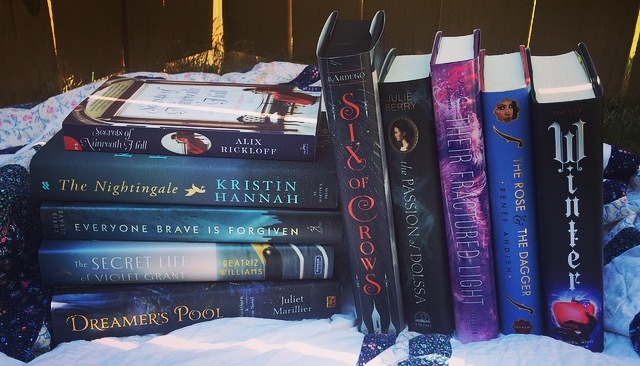 I also want to read Six of Crows. I really enjoyed Winter even though it was long- loved seeing the characters interact, and I loved Jace and Winter! Can't wait to hear your thoughts.